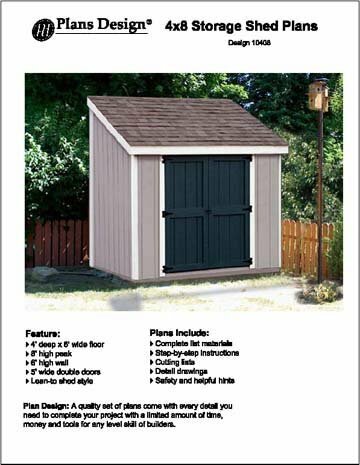 Suncast Sierra Series, 52 cubic feet Blow Molded Resin Large Vertical Storage Shed. 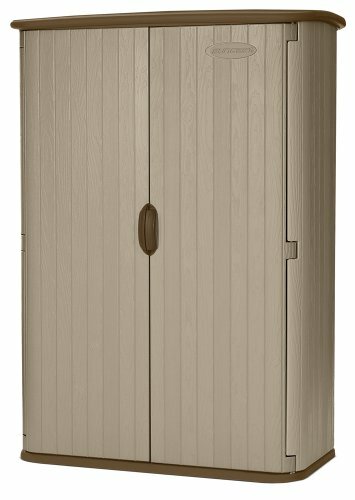 Durable double-wall construction with wood grain texture. 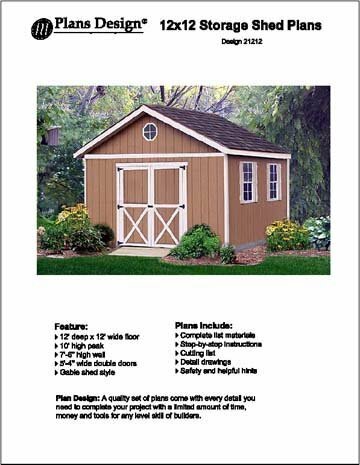 Quality issues The price of this product seemed high, but we thought it would be a well-designed, strong shed. Not the case.The plastic hinges in the middle of the doors do not remain in place and come out of place when the doors are opened (I can send pictures). Not sure if I got a defective product, but now that I put it together I won’t waste more time undoing it and sending it back. I simply will never buy this brand again. 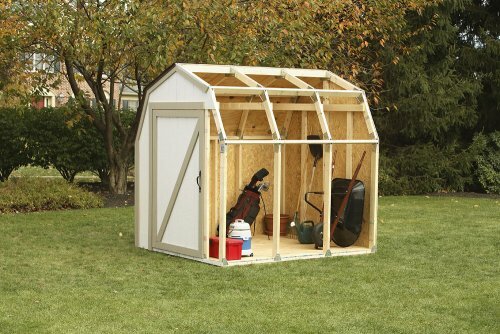 Great space storage shed The space is perfect , I add two shelves , everything I needed it for fit perfect. 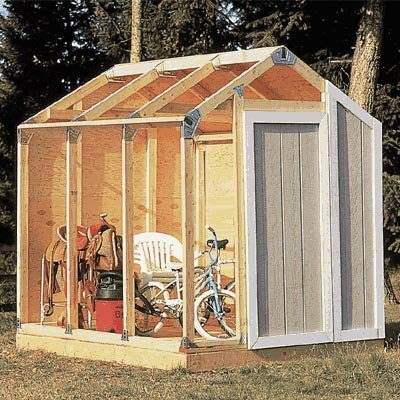 The plastic construction is very good like any other plastic shed. Easy to put together on problems at all anyone can put this together . 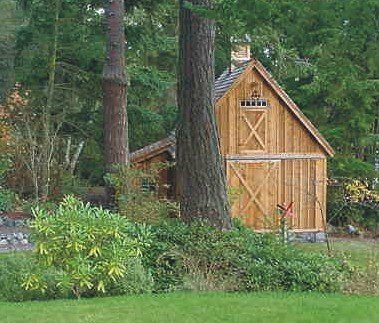 This is not wood shed But it appears to be durable, ill know when the next wind storm hits ,lol . 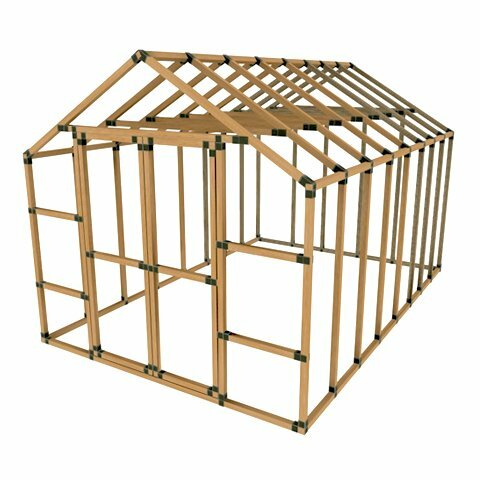 And it has its own floor so you don’t have to provide one. I hope this helps you buyers.